Mei has an international intellectual property practice focused on helping clients formulate their IP strategy, and shepherding their IP through various business cycles to achieve their business goals worldwide. Mei has substantial experience in patent and trademark portfolio development, and in all aspects of IP enforcement, including negotiation, licensing, and litigation at various courts at the federal, state, and administrative levels. Her clients also depend on her multicultural background and language abilities (Mandarin and Cantonese) to help them expand and navigate their IP strategy worldwide. 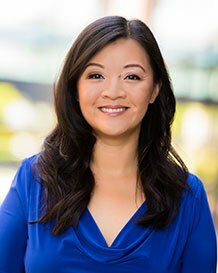 Mei currently serves on the Board of Directors for both the Orange County Bar Association (OCBA) and the Charitable Fund, and as co-chair of OCBA’s Diversity Committee. Mei serves as the subcommittee chair for the Anti-Counterfeiting Committee with the International Trademark Association. Mei is involved with a host of other organizations, including serving as an executive council member for Asian Americans Advancing Justice, and as a board member of the non-profit institution, The Portal. Mei has two active boys and a creative husband Steve. They love being in Orange County enjoying the riches this county has to offer, and also love to travel around the world.